PABLO MACHÍN APPOINTED SEVILLA MANAGER FOR THE NEXT TWO SEASONS | Sevilla F.C. Pablo Machín will be the new manager of Sevilla FC. The Nervionenses and Machín have reached an agreement for the next two seasons, with the coach joining after three and a half years of success at Girona FC - a club he joined at the end of the 13/14 season to save from relegation, and with whom he eventually achieved promotion to the Primera División and consolidation in the elite. Machín is a coach who did not take long to discover his true calling, though his first contact with football was as a player with his local CD Numancia. He made the jump up to the First Team very young, when the side played in Segunda B. Unfortunately, the right-back was forced into retirement early, when an injury to his knee forced him to bring an end to his playing career at the age of just 23. Two years later, he made the jump to management, when coaching in Numancia's academy. He would eventually take charge of the reserve team, who he took to the playoffs of Segunda B in the 2006/07 season. This would open doors to a role with the First Team, where he would serve as assistant coach in the eras of Gonzalo Arconada, Sergio Kresic, José Rojo and Juan Carlos. In the summer of 2011 and after the departure of Unzué, Machín took their reigns of CD Numancia for the first time. Guiding them in the Segunda División, he would take the side to a tenth-place finish and earn a renewal. In the following season, after finishing 12th, Numancia decided to dismiss the coach. 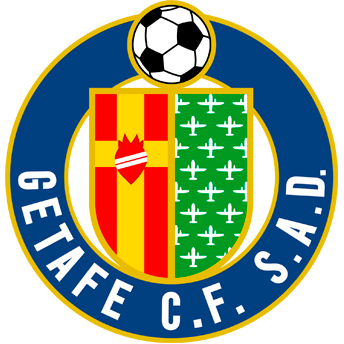 Their loss, however, would be Girona FC's gain, with the Catalan side charging Machín with the task of guaranteeing safety in the Second Division in 2014. Picking up 21 points in a possible 39, this is something he would achieve, avoiding relegation in the final game of the season with a 3-1 win at home against Deportivo la Coruña. This would guide Machín to a two-season renewal and would mark the start of the best managerial run of his career. In the 14/15 season, Girona were one of the biggest surprises of Spanish football. Picking up a club-record 82 points in their campaign, a draw in the final game of the season meant a playoff place rather than an automatic promotion. Zaragoza would rob dreams of an impossible promotion in the semi-finals. To all the world it seemed that the club would not be able to repeat the successes of the season but a fourth-place finish meant another playoff qualification a year later. This time the Catalan side would reach the final (beating Córdoba CF in the semis) but would cruelly miss out on a promotion after losing to Club Atlético Osasuna at the final hurdle. Finally, the third attempt would prove the lucky one with Girona achieving promotion to the First Division in the 16/17 season. Drawing with Zaragoza in the penultimate game of the season would guarantee an automatic ascension. Making his managerial debut in La Liga football this past season with Girona FC, it would be wrong to say Machín has found the transition tough, with the red and whites securing safety early and pushing on to fight to achieve a seventh-place finish until the very end. 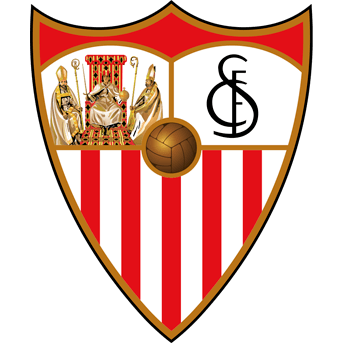 Eventually finishing 10th with 51 points, Girona would show just how good a side they had become in their two matches with Sevilla, though the Nervionenses would triumph in both. With his trademark 3-5-2 formation and a lethal record from set-plays, Machín managed to create a clear style with his Girona side, which he will now seek to adapt to a side who will do battle in Europe next season and comes designed compete in the upper heights of continental football. Sevilla FC welcomes Mr. Machín to the Club.